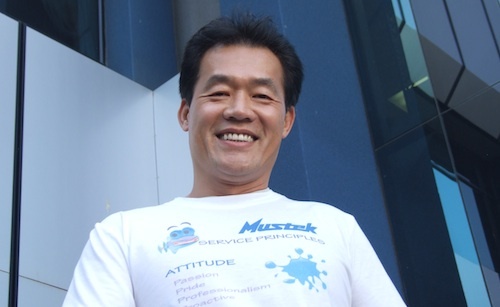 The share price of computer assembler and technology distributor Mustek leapt higher on Friday after the JSE-listed company told the market that its headline earnings per share for the six months to 31 December 2009 would be as much as 50% higher compared to the same period in 2008. Basic earnings per share would be between 50% and 60% higher and net asset value per share was expected to be between 545c and 555c. The news sent Mustek’s share price up 27%, to R3,11, in late morning trade on the JSE. The strong performance comes just months after the company, which is led by CEO David Kan (pictured), said it had begun retrenchments as part of a restructuring aimed at reducing costs and streamlining its operations. The restructuring resulted in consolidation of Mustek’s coastal operations, with customer support centralised at its head office in Midrand. Mustek, which recently filed a complaint at rival Hewlett-Packard at the Competition Commission, said it would publish its interim results on or about 26 February.